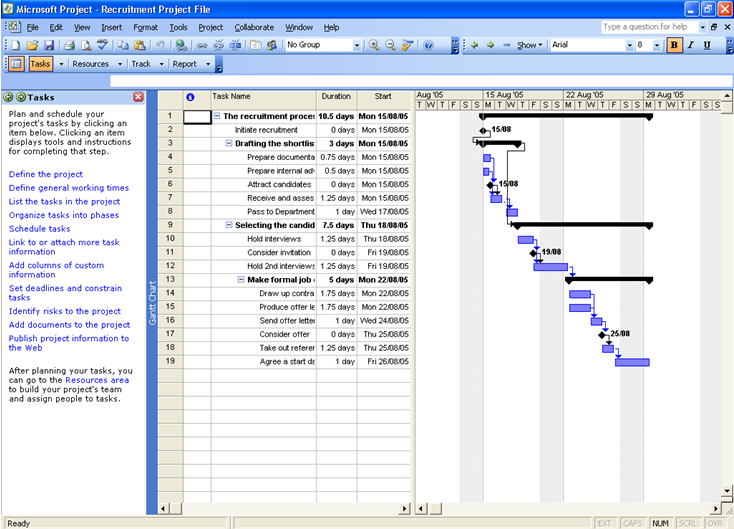 Process Navigator enables users to export Activities and the time attributes held behind Activities to Microsoft Project 2003 or 2010 formats (Please ensure you have the correct version configured in Process Navigator Click HERE to see the options). This is done through the use of an XML hierarchy file. An XSL transform has been supplied to enable Microsoft Project to pull from the Properties.xml file, specifically the Total Effort field of the Activity Properties, to create a project file. To populate the Total Effort field in the Properties.xml, right click an Activity on a map and select properties from the menu. Select the Properties tab. Under the Performance Measurement group, enter a value into the Total Effort field. NOTE: The value should be in whole numbers to reflect hours of effort. For example, type ‘40’ without the quotes to equal 5 days. Once the XML file has been created, select Multi-Map > Export Wizard > Microsoft Office Project XML. The dialog ‘Export to Project’ will appear, browse and create a new file to be the target for the Microsoft Project XML File. Then browse to the XML hierarchy file created from your process maps or leave the field blank to use the loaded maps. You have an option to load Microsoft Project automatically. If you selected the option to Load Microsoft Project, you will notice that Project will automatically open. Go to File > Open and select the Project XML file that you created. NOTE: Microsoft Project will, by default, look for Project files (.mpp). To browse to the XML file you created from Process Navigator, please change the Files of Type to look for All Files. 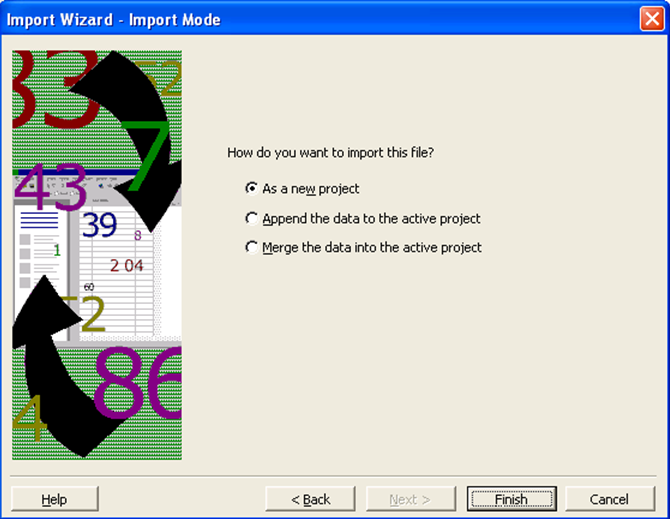 An Import Wizard will appear as shown below. Select the action you require and then click Finish. This will import all Activity names and total effort into Project from the maps you specified as shown in the example below.